This post is actually coming a couple of weeks earlier than our second anniversary in our home but as I’m soon to be all-consumed with attending trade shows and processing new spring/summer stock for DaisychainBaby, I thought now would be a good time to write it. TWO years?? 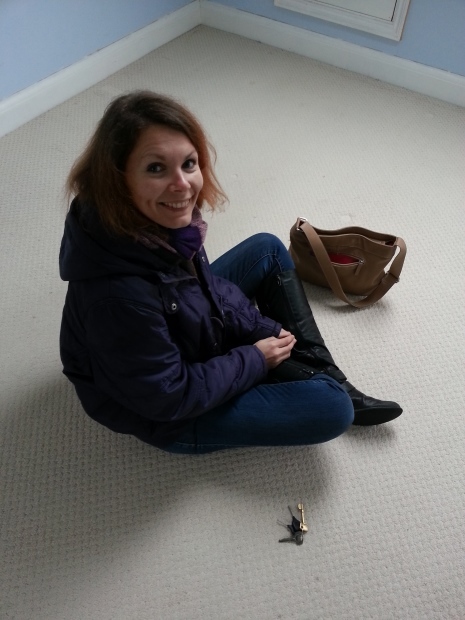 That time has just flown since we excitedly picked up the keys on Valentine’s Day in 2014 and if you feel like having nosy at what we did in the first year, catch up here. I probably don’t even need to say this but our house is proving to be the third great love of my life (after Pete and Maddie of course!). Yes it drives me crazy, I drive me crazy with my ridiculous ideas and never-ending wish lists, but it brings me such inner peace as is almost impossible to describe. After a very nomadic childhood and teenage years where the longest I lived anywhere was 4 years, feeling rooted finally is wonderful. And our home is gradually, slowly taking shape. At the start of 2015 we spent a week in Sri Lanka (which I STILL need to finish writing about) and talked about what we wanted to do with the house that year. Enduring a super cold winter, it was clear we needed to do something about it so we wouldn’t have to feel so chilly in our own home again. So we changed the windows across the front of the house, which you can read about here and here. A before and after. This is our living room, the room above it that will eventually be our guest room and the room above it to the left which was the fourth bedroom that we’ve turned into an office. The windows were a rare win in life, the company that quoted the cheapest ended up also being the most able to assuage my complex set of requirements, including a concession on my part that if we really did have to go PVC then they’d better be the best looking period-impersonating PVC windows they’d ever produced. They totally aced it and the windows have kept us warm and cosy this winter as well as blocking out additional noise. We’ve also had so many compliments on them from neighbours on the street, so it was money well spent. Following that, we realised that now we needed something to go on the windows and opted for plantation shutters. These too have been brilliant at adding an extra layer of insulation against both cold and sound and I love all the different options they give us in terms of privacy and letting light in. Lots of people have asked about whether the room feels darker with shutters and I can absolutely say it really doesn’t. It helps that we have the big bay windows of course but even in the little office room it doesn’t let any less light in. 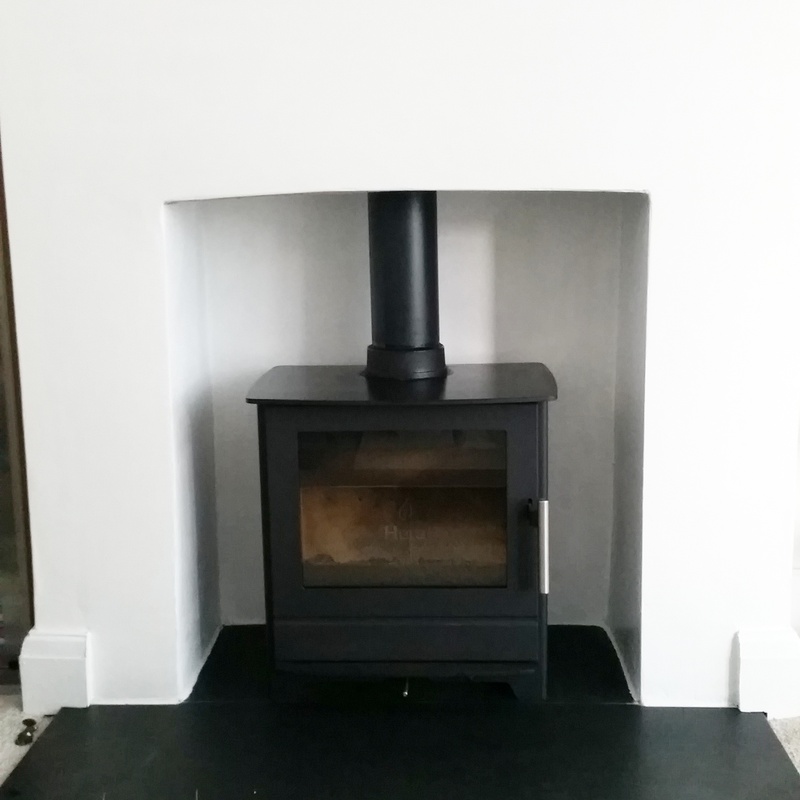 The last really major project which you’ll definitely know about if you read the blog or follow me on Instagram is of course replacing our hideous gas fire with a beautifully sleek wood-burning stove. We chose a HETA Inspire 45 which is Danish and truly a thing of marvellous-ness. It bloomin’ cleans itself which still amazes me. We love it, Maddie loves it. It’s kept us so warm especially since the temperature has finally dopped in the past couple of weeks and I’m so overjoyed that it’s worked out, plus will hopefully have saved us a lot of gas bill money since we barely have the heating on at all. It seems very odd when you have something like this fitted in the summer months, it’s hard to imagine you’ll ever use it and then you worry that maybe it won’t provide enough heat. It’s definitely love though and at some point we’ll probably get one to go in the fireplace in the dining room too. 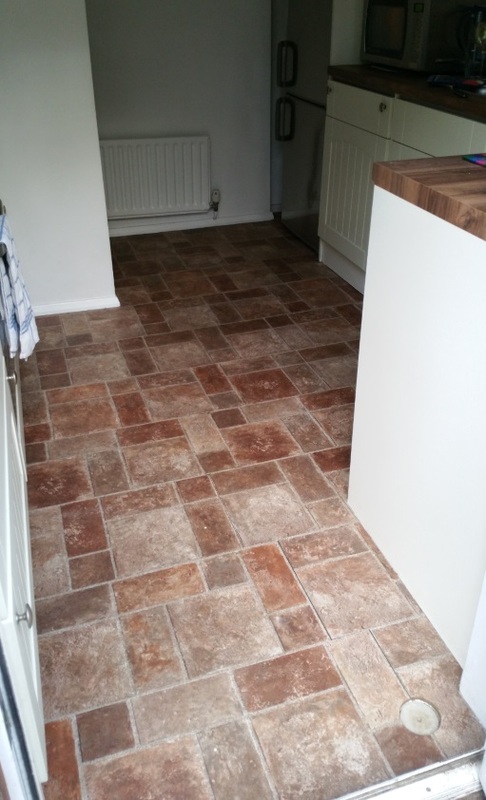 On littler projects, we replaced the kitchen floor after getting fed up of the hideous and worn vinyl tiles that we inherited. We didn’t push the boat out since this won’t be the kitchen forever, but as a temporary replacement it’s so much better. Isn’t our kitchen the diddiest? 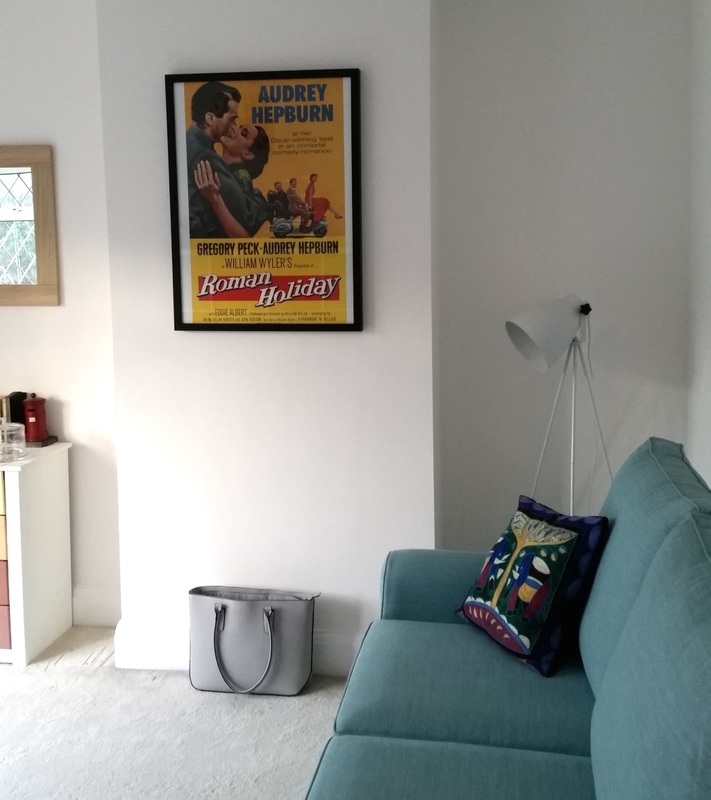 We’ve kind of learned to love it a little but it’s more boot-room sized than kitchen sized – how a family of 5 coped here I will never know! And imagine, when we first moved in it was the same coloured red as that poinsettia above! Painting it was one of the first things I did. Our third bedroom got a little mini makeover which was finished just before Christmas and you can read about here. There are bigger changes this room will undergo but for now, it’s much improved. And last but by no means least we have more or less finished our fourth bedroom to office transformation. I’m not going to say too much about this here since there will be a proper post to follow very soon (and maybe even a little video if I figure out how!) but well, it’s love really. As you can see, we’re definitely not on trend with our choice of colour, I keep seeing white office spaces and they look so amazing and super stylish but well, I wouldn’t be the very dictionary definition of an Aquarius if I did the same… “If everyone else if jumping off of a bridge, expect her to be the first to find a cliff“. I love looking back, sometimes I get so bogged down in projects that you forget just how far things have come. It’s hard to know where this year will take us since we really need to replace our ageing car and so that might have to take precedence over some of the bigger projects but we’ll keep chipping away, gradually restoring this woefully neglected home to its former glory, showing it love and letting it keep us warm and safe. Wow wow wow, when can I come and move in ? It is so inviting and just so homely. I understand your love for being grounded we have moved 10 times in as many years and I just want to settle. Those windows made such a difference to your property they are perfect, the kitchen floor has made the space look so much bigger and the stove = gorgeous. 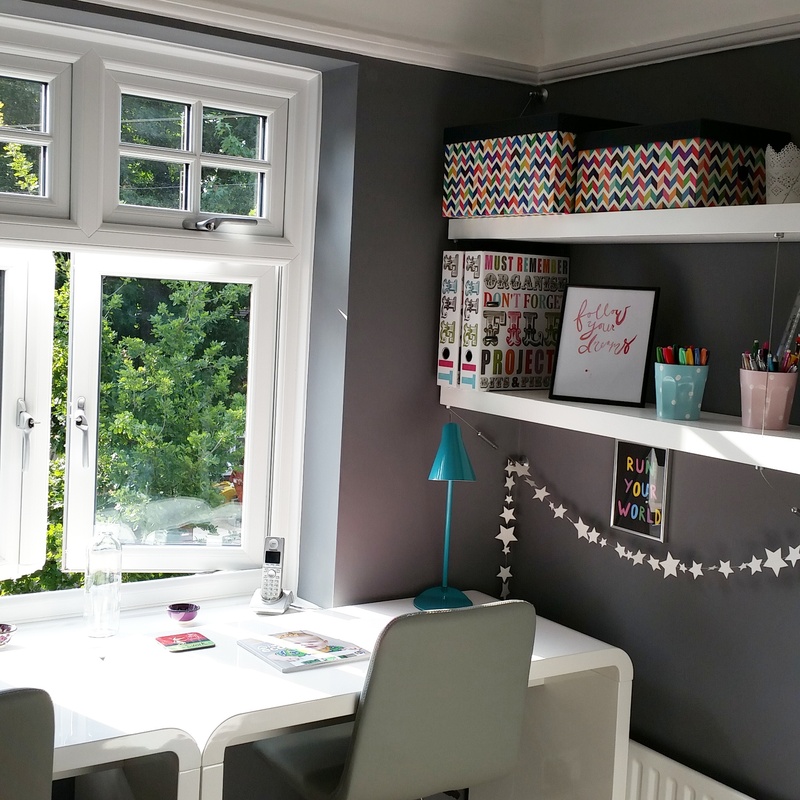 Lastly your office – love it!!!!! You’ve done such a great job so far, I especially love the fire you’ve chosen! I’ve always been such a fan of shutters too. You and Pete are doing a great job Lins. The stove looks so cosy. I would love one but The Bavarian is not convinced. Your office is fab. The grey and white is a really clean combination. You’ve done extremely well and have had some great transformations. I’m jealous because I’ve always wanted to make a lot of changes to my new house but it’s been a year already and all I’ve changed is the small closet bathroom downstairs lol. Maybe year 2 would mean more transformations too… who knows! I’ll take you as inspiration – especially loving your office!